My family isn’t crazy about regular pancakes. In fact, my son won’t even eat them, but put a cornmeal pancake in front of him, and it disappears in the blink of an eye. In large bowl, stir together Bisquick mix, cornmeal mix and cornmeal with whisk. Add buttermilk, eggs, sugar and 2 tablespoons oil; stir with whisk just until blended. Let stand 5 minutes. Meanwhile, heat griddle or skillet over medium-low heat (325°F). Brush with oil (add more oil as needed during cooking). 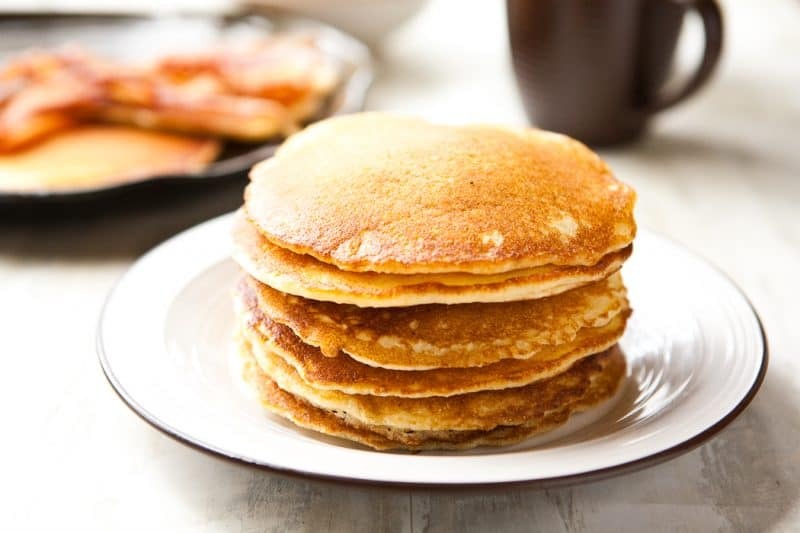 For each pancake, pour 1/4 cup batter onto hot griddle. Cook 3 to 5 minutes or until bubbles form on top. Turn; cook other side until golden brown.